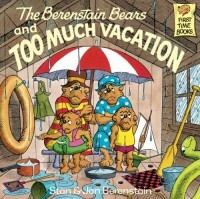 What was supposed to be the best vacation ever began going downhill quickly when they realized that their mountain cabin was a crumbling old shack in the woods. There were weeds growing inside the "cabin" and the rowboat was half sunk in the muddiest lake that you have ever seen. Things went from bad to worse. But they did not forget to take pictures with their camera and a few days later, when they had the film developed, they passed the pictures around and laughed so hard they almost cried. Every so often they look at those pictures and have an absolutely wonderful time enjoying the worst vacation that they ever had. One good activity would be to have students write about their worst vacation, or break from school, that they experienced. Ask them if they can laugh about it now. 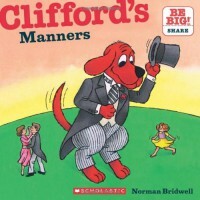 This story is about how well behaved Clifford is and how he is so loved because of it. This book tells about many, many good manners. One thing that I like about this book is how out in the margins of the pages it list the manner that is also in the story on that page. This is a great book for younger students. You could read this at the beginning of the year and have a class discussion about the types of manners and behaviors you expected. 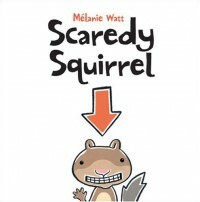 Scaredy Squirrel lives in his tree and follows a very strict schedule. He is scared of everything. One day he finds himself out of his tree and in the unknown. He learns that everything isn't so scary and it can be exciting to try new things. This would be a good beginning of the year book for younger students. You could teach them to branch out and meet new people. One activity would be to have the students add a page to the book about something that they were afraid of. 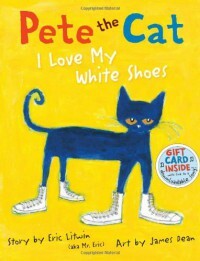 This story of Pete the Cat is about how he doesn't cry, goodness no, even when he steps in all kinds of dirty colorful things in his white shoes. This is an easy read with a catchy tune that young readers enjoy reading and singing along with. One activity that I would do with this book would be to have the students color a shoe, say what it was that they stepped in, and then we would add that verse to the song. 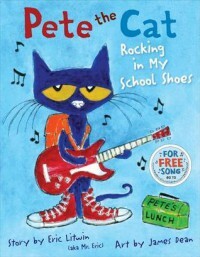 This is a great story about how Pete the Cat goes to school and does everything in his school shoes. One thing that I really like about this book is that it tries to get you to guess where Pete the Cat is going next. It gives you hints and clues before telling you what Pete the Cat is doing in his school shoes. I would use this book in my classroom to teach the students about making inferences. We could also spark their creativity by getting them to add a verse of their own to the story. This is a story about a girl that wants the lead part in a play. It's Peter Pan her classmates tell her she can play that part because it's a boy and the boy is white. Her family supports her and she believes she can be anything she wants to be. It turns out to be very good. I would use this is my classroom to show students that they can do many things as long as they set their mind to it and work hard. I would like to have a "play" and there would be no limitations on who could play which parts. It would be whoever was the best at it. 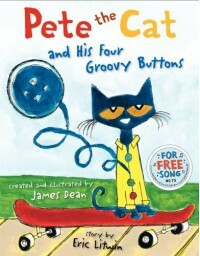 This story is about Pete the Cat loses the buttons of his shirt. He doesn't cry though because buttons come and buttons go. I like how the number of buttons left on the shirt are spelled out, written as a numeral, and represented as a basic equation. This would be good in the classroom to practice writing equations from word problems. This is a story of two people looking at the same object and seeing two completely different things. The two people argue about what it is until they convince each other to change their original opinion. This book is funny and it shows that you need compelling evidence with for your argument to be successful. 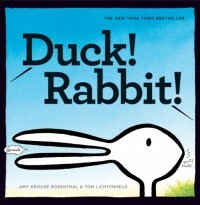 I would use this book in the classroom to have students develop compelling evidence to go along with their arguments of whether it was a duck or a rabbit. 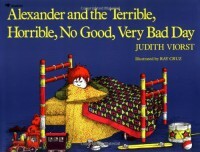 Alexander wakes up on the wrong side of the bed. Usually that's just a saying but this time Alexander woke up with gum in his hair and on the side of the bed that had a skateboard on it. His day only gets worse and never better. It ends with his mother telling him that bad days happen to everybody. I would use this in my classroom to have students write about a time when they had their own terrible, horrible, no good, very bad day. 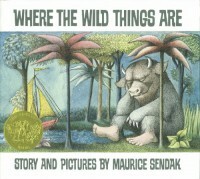 This story is about a boy that is sent to bed without his dinner for acting like a "wild thing". He falls asleep soon after and his imagination begins to run wild. His room starts off by being transformed into a forest and then he finds a boat and sets sail for quite some time. He eventually finds himself in a land inhabited by wild things, where he eventually becomes king. He begins to miss his mother and understand that being in charge is not as easy as he thinks. One way that I would use this in my classroom would be by reading a loud and have the students come up with synonyms for the word terrible. I would also have students write captions for the pictures that did not have any with them. This is an excellent variation of an original classic. This story incorporates different types of martial arts and teaches important lessons along the way. It teaches young readers that success does not come from being lazy and quitting. It also teaches young readers that it is never to late to perfect a craft. I love this version and I think that it will be easily enjoyable at even older age groups. I would use this story in my room to teach life lessons, timelines, and sequencing of events. 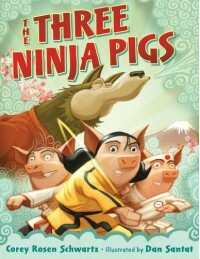 Students could also compare this to other versions of The Three Little Pigs. This is a very informative story that teaches different things about the president. It talks about where the POTUS lives and the many different duties and jobs that they are responsible for. I think using a mice instead of people is more fun and makes it more enjoyable for younger readers. 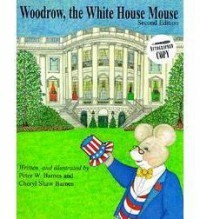 I would use this book in my classroom by having the students discuss different roles of the president and possibly even acting out scenes from the book with the different characters. This story is about a girl named Jessica that worries about everything, especially reading. She had trouble reading and sometimes the other kids would laugh at her. 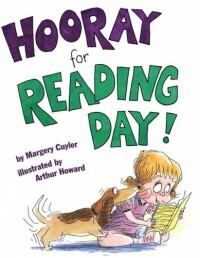 She learned that she was going to have to read in front of all the parents at "Reading Theater Day" and she was terrified. She decided to practice by reading to her dog Wiggles. She was comfortable reading to her dog. I would use this story to help encourage children to read. I would have reading buddies (stuffed animals) for the students to practice reading to and hopefully build their confidence. The Very Hungry Caterpillar is about... You guessed it, a very hungry caterpillar. It tells about how he hatched from his egg and all the things he ate along his journey to complete metamorphosis. I would follow this with a science lesson that explained the process of metamorphosis and talk about the four distinct stages. 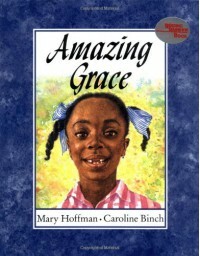 This is a great book for young readers. 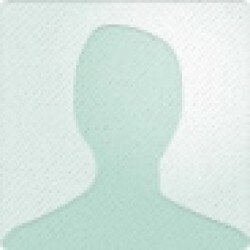 It would be excellent for introducing or reviewing the alphabet. I like that it has a story line that goes along with colorful pictures. I think it is fun how the lower case letters are children and the upper case letters are older relatives. This book incorporates a lot of rhyming throughout. I would have my class change the wording and try to come up with new rhymes that we could turn into song. 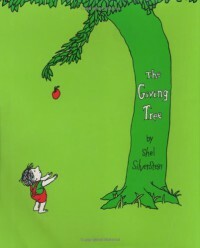 The Giving Tree is a great classic read for all ages! 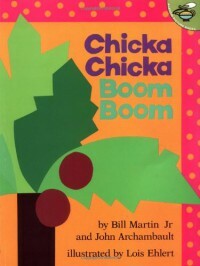 This book teaches about a taking and giving relationship between a boy and a tree. The tree is happy providing for the boy all the way through the book. There is only a brief moment when the tree is not happy but even in the end she can still provide the one last thing that the elderly "boy" wants. I would use this book in my classroom to talk about how you can only take so much without giving.